Some prefer to sleep cool while others prefer to sleep warm. Unfortunately, if it so happens that your spouse has a very different sleep temperature preference from yours, then you may have a problem. 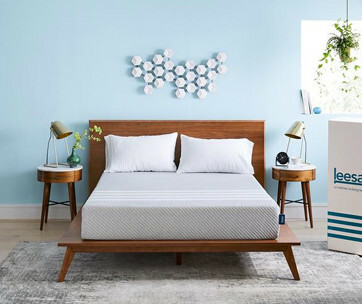 Good thing there is always the BedJect V2 Climate Comfort that you can slip in under your bed to keep your side of the bed in the right temperature that you prefer. 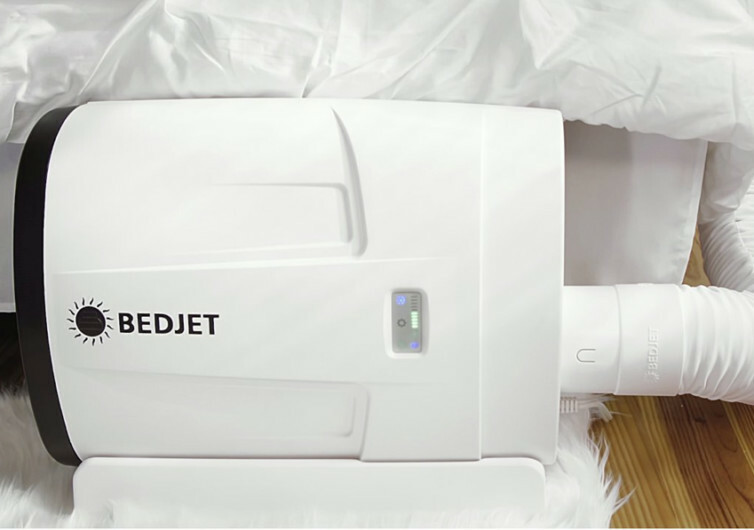 The good thing about the BedJet V2 is that there are no bulky and cumbersome connections or hoses to think about. There are also no ducts and extensive electrical wirings to worry. 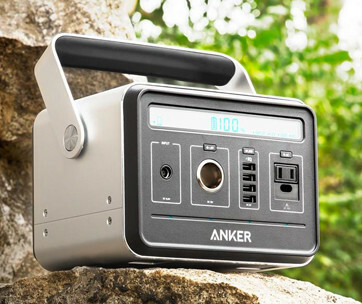 It’s a nifty device that can be conveniently placed under a bed with at least 7 inches of space. 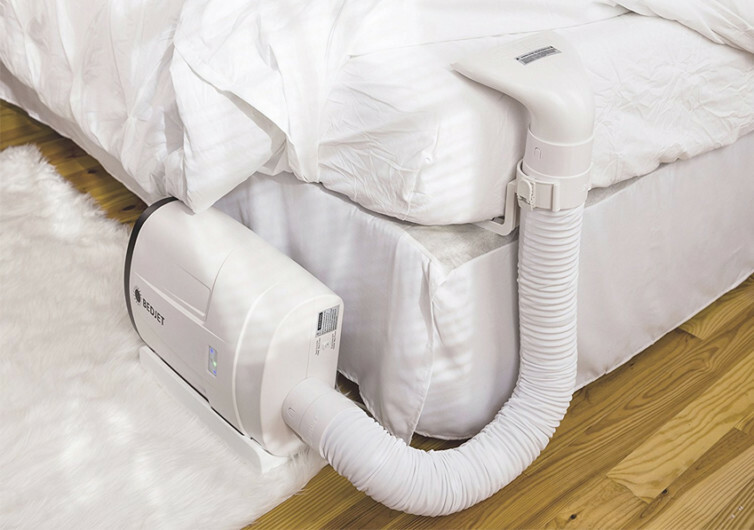 A flexible duct draws in ambient air and either cools it or warms it before directing it under the sheets. What you get is essentially a comfortable and peaceful night’s sleep simply because you can control the right temperature of the bed upon which your body rests. 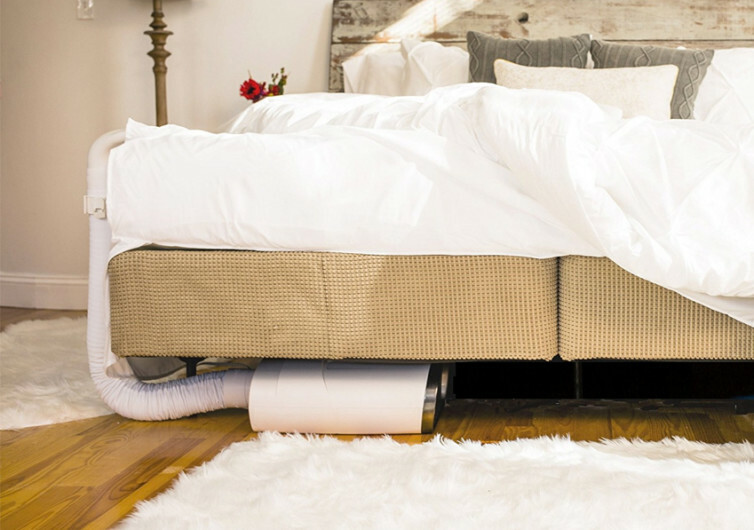 If you feel like it’s hot but your spouse isn’t actually feeling it, then you can rely on the V2 to cool your part of the bed. There really is no point agonizing in the wrong temperatures simply because the other person on the other side of the bed doesn’t necessarily feel like you do. The same is true if you want something warmer, but your partner says the cold is perfectly fine. 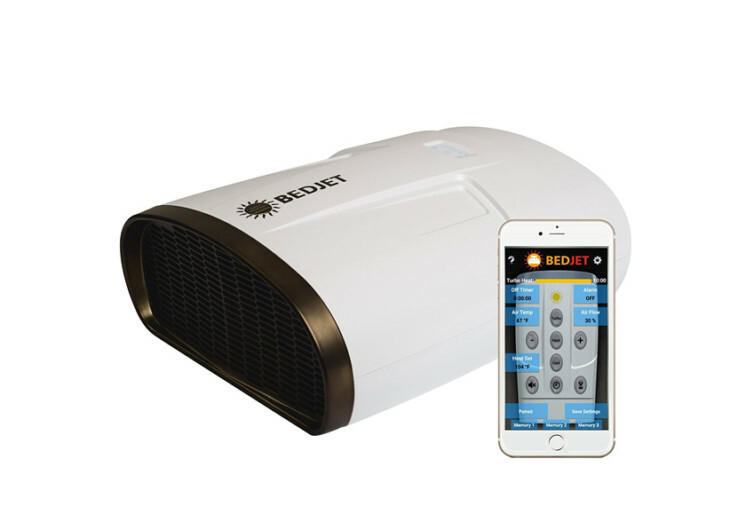 What the V2 does is that it draws cold air and warms it before directing to your side of the bed. 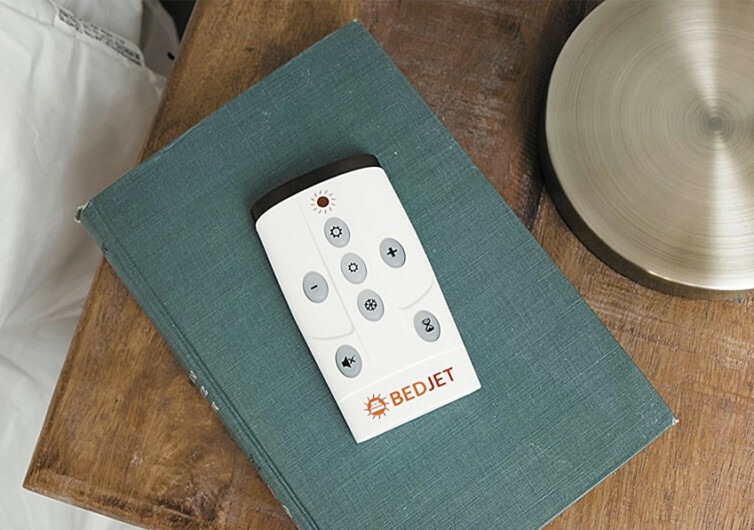 The BedJect V2 comes with its own application that gives you excellent control of the bed’s temperatures. 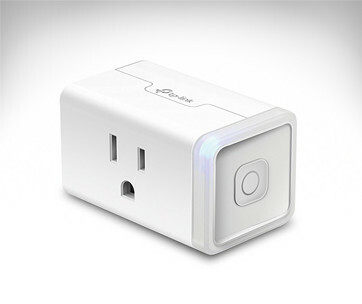 There’s also a dual zone feature that is optional, perfect for couples who may have different temperature perceptions. With the V2, you’d be able to sleep a lot better and comfier, too.